It seems appropriate that I should feature my own library’s collection on the First Monday Library Chat! Today I’m interviewing Annie Brogan, College Librarian here at the Historical Medical Library of The College of Physicians of Philadelphia. The College Library holds more than 340,000 volumes, including over 400 incunables, and an exceptional range of hospital archives and physicians’ private papers. Can you give us a brief history of how the Library of The College of Physicians of Philadelphia came to exist? The library started just short of two years after the formation of the College in 1787. The library served a similar purpose to the burgeoning medical community as the College itself—to advance medical knowledge. In the late 18th century, there was no such thing as a medical school library. There was barely such a thing as a medical school, so the library served as a resource center for Philadelphia physicians. Much of the collection is books that were collected by Fellows and donated to the College. Do you notice any unique or changing collecting practices over time? There were definitely periods when the library collected anything and everything. I’m exaggerating a little bit, but I wonder sometimes why and how certain books entered our collections. Then there were the periods of intense and focused collecting. The College Library was lucky enough to have a Fellow in the late 19th-century, Samuel Lewis, who was an MD but never cared much for the practice of medicine. He was a great bibliophile who traveled extensively, which benefited the library quite a bit. Sir William Osler also spent time in Philadelphia and struck up a friendship with the College Librarian at the time, Elliot Morse. They remained friends after Osler left the city, and we have much evidence of Osler’s continued goodwill towards the library. Not only did he donate a number of valuable books, but he also alerted Morse and the College Fellows when something good came on the market. Roughly how many manuscript recipe books or formularies do you have across the collection? Can you describe a few so we can get an idea of the range? Unfortunately, there is no uniformity in how these books are cataloged, and some items are still best found by consulting our paper card catalog in the library. 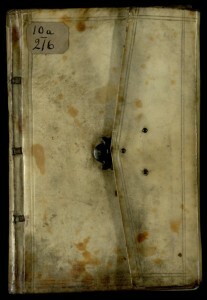 There are probably around 15-20 bound manuscript recipe books in our collection. Users should search the catalog for all variations of the genre’s name, including “recipe book”, “formulary”, “receipt book”, “cook book” and “materia medica”. Manuscripts and archives don’t have their own catalog, but bound manuscripts are noted as such under the “format” category in the main catalog. 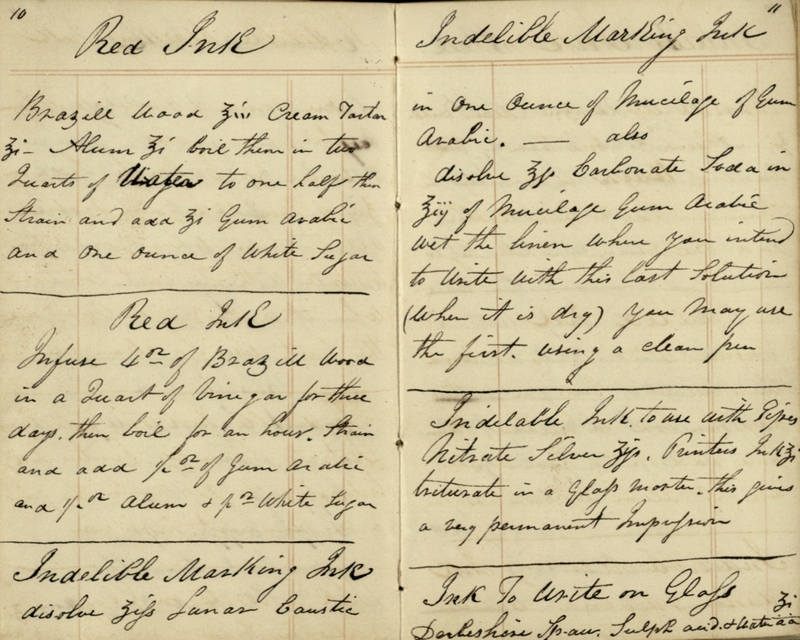 Most of our manuscript recipe books are mid-19th century, but we have a few older ones, like the Anne Layfielde and Elizabeth Coates Paschall. There’s also an interesting 17th-century chemical recipe book in several mens’ hands that includes large sections of text copied from one of Paracelsus’s books and has a record of the births and deaths of the compiler’s children. What was new to me in looking through these books was that you can find several formulas for different colored inks and dyes right next to treatments for rheumatism and gout. Of course, though, it makes sense to keep all formulas in one place. 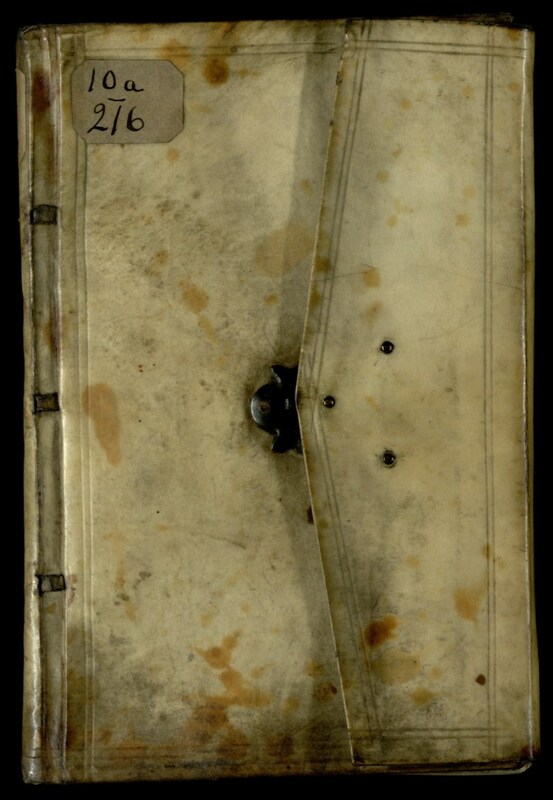 We have an unattributed apothecary’s book given to the College by Francis Dercum that has treatments for specific patients as well as recipes interspersed throughout, and it is bound in a charming pocketbook. Why do you think there are recipe books in the College Library’s collection? Are any of them personal formularies from the College Fellows themselves, or do you think they were collected just because they were interesting? None of them are Fellows’ personal formularies. 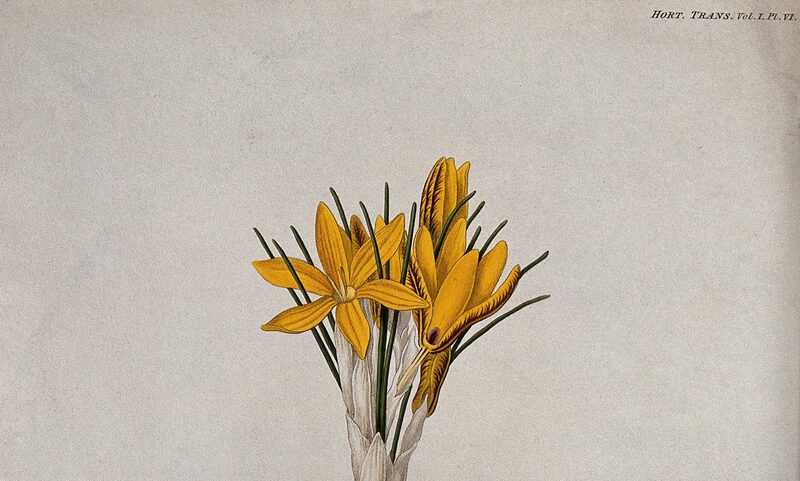 We do have a wonderful materia medica collection, and I think the librarians who were collecting realized that manuscript formularies would complement the print collection. For the College Library’s recent 225th Anniversary celebration , you and Dr. Steven Peitzman, FCPP, co-curated an exhibition on recent research trends. 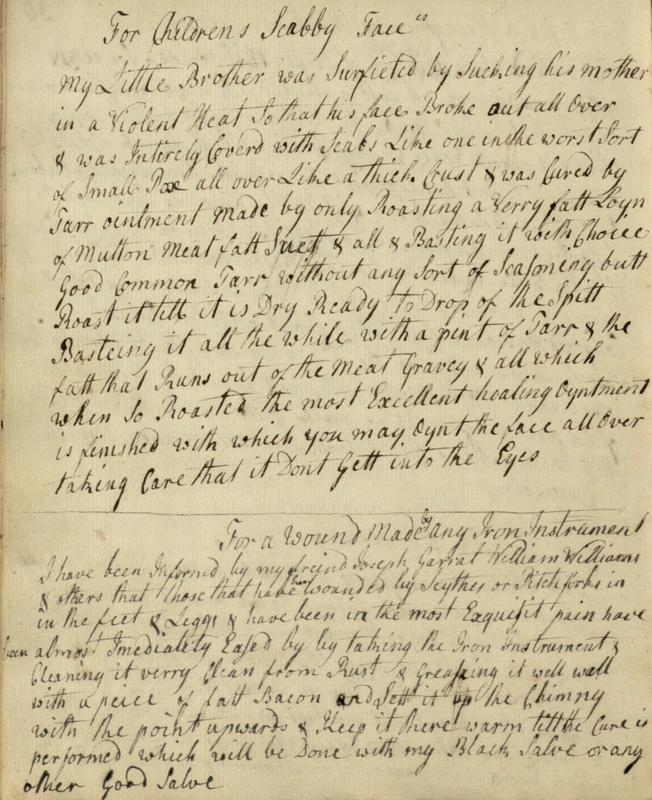 Rebecca Laroche’s project on Anne Layfielde’s 17th-century recipe book was featured (and Laroche continues to explore this manuscript with Hilary Nunn on this blog!) Have you noticed a recent interest in recipe books as scholarship on the genre has increased over the past ten years? For the most part they are an underused part of the collection. I say for the most part because we have one recipe book that gets a fair amount of attention, that of Elizabeth Coates Paschall. I think that it gets so much notice because we already know a fair amount about her and she’s from a well-known Philadelphia family. 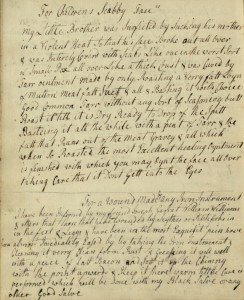 I do have hope that our collection will start to be used more, though, as kindred institutions known for their recipe books, such as the New York Academy of Medicine, learn of our own collection (as happened during the 225th anniversary celebration), and as blogs like this become increasingly popular. 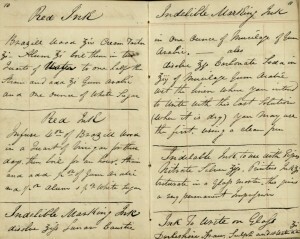 Are any of your recipe books digitized? The College hosts the digital project “Eighteenth-century Colonial Formularies”, which presents two related digitized manuscripts with searchable transcriptions. This includes our copy of George De Benneville’s German and English formulary and the Schwenkfelder Library & Heritage Center’s manuscript which records the medical practice of Abraham Wagner. This was initially funded by a grant on which the late Renate Wilson (Johns Hopkins University) was Principal Investigator. We have been talking with some digital providers about ways to update the user display on this site. If people reading this blog want to come use the College’s recipe books, should they apply for a Wood Institute Travel Grant? Yes! Absolutely. Wood Institute Travel Grants help researchers cover the cost of travel and lodging and are intended for those visiting the collection for 1-2 weeks. This is not limited to historians of medicine – academic researchers, graduate students and independent scholars of all disciplines are welcome to apply if they have a serious interest in our collection. More information is available here. We love having visiting scholars and hearing about their work. Thanks, Annie, for chatting with me! Feel free to email the College Library to schedule a visit. Look out for the First Monday next month, when we’ll be featuring the fantastic collections of the US National Library of Medicine.